There are so many different dessert and treat options for the holidays around the world. Cookies, pastries, chocolates and sweet breads are all popular options. From Italy, we have one option that is said to be about 500 years old, Panettone. It is typically, a tall light and fluffy bread made with butter eggs, dried raisins, pieces of orange and lemon or lime juice with a tall paper wrap to help keep its shape. 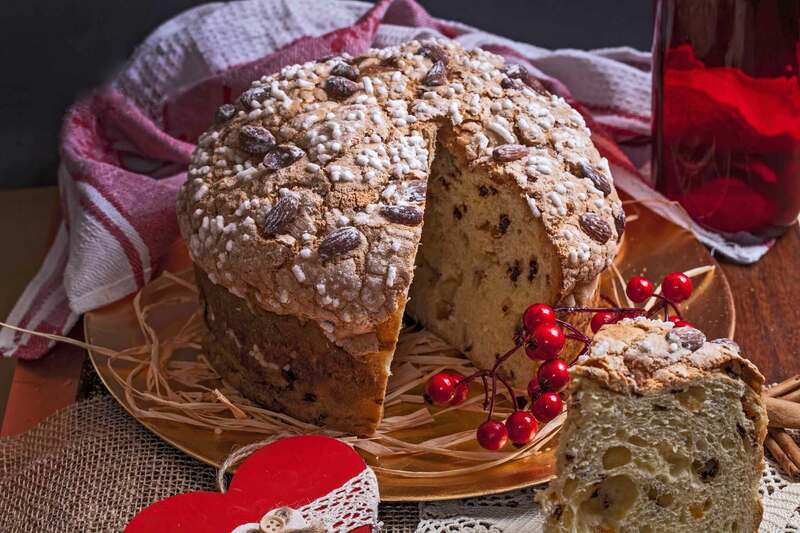 Today there are various variations of the bread like plain or chocolate panettone. There are many legends about the actual origins of the sweet bread, but most food historians agree that the origins are centered around Milan, Italy. Many of the legends seem to involve a prominent nobleman and a local baker. The bread seems to have been made by a commoner but then introduced to the nobles out of desperation or by chance. Ultimately, the nobles fell in love with the bread and it has become one of the main holiday treats in Italy and other areas around the world.